It's me, Kimee! 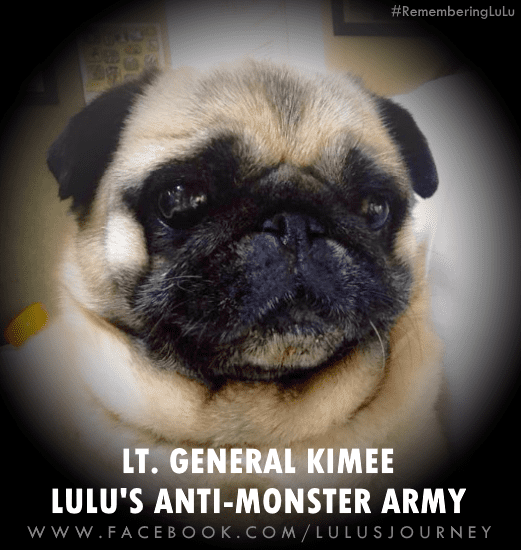 My little sister, LuLu, was a brave Epi-Warrior and champion for all warriors facing some kind of monster. No matter how hard her monsters tried, they were not able to prevent her from living a happy, loved, and as normal of a life as possible. 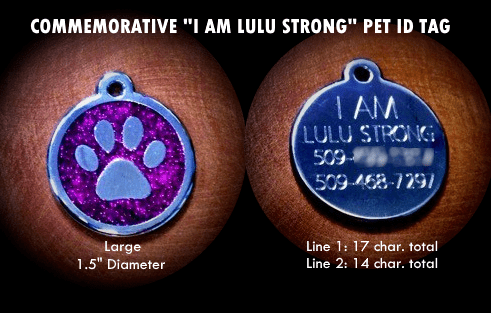 Though tiny in stature, LuLu was known for her enormous heart, great strength, and inspirational story. why, after much research and testing, I selected these excellent ID Tags made by Red Dingo! 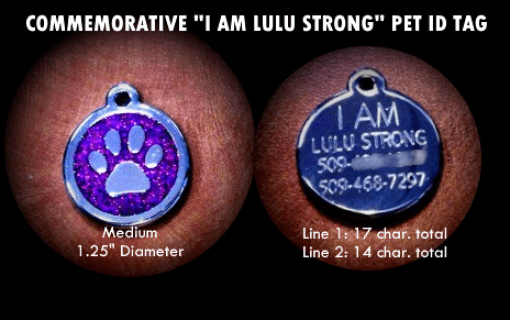 Yes, these Pet ID Tags are "LULU STRONG"! guaranteed readable for the life of the ID Tag! These awesome Commemorative "I AM LULU STRONG"
Pet ID Tags are made in Australia by Red Dingo. *Price includes tag, custom engraving, and shipping.